Another great pattern! It reminds me of bowling. 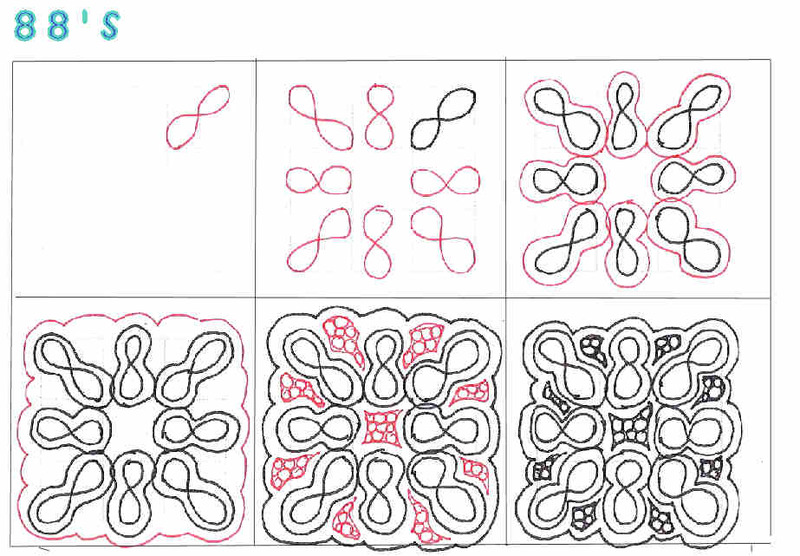 Please let my embroidery be the inspiration for some of your tangle patterns. It never rains but it pours (or so says Morton Salt!). It seems like I don't post forever, and then once I get going, I can't stop posting. I still need to write up my reviews on the zentangle kit and Sandy Bartholomew's kit. I was hoping to do that before the new zentangle book came out.